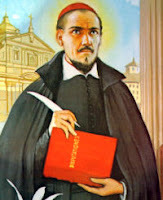 Saint Robert Bellarmine is perhaps one of the greatest Jesuits who ever lived. He was one of the Counter-Reformation saints of the Church, who defended Her with the utmost skill and fidelity when a host of heresies attempted to overtake Her. His catechisms for children and teachers were widely read and utilized well into the twentieth century (for more on the importance of his catechisms, see my paper, "The Church's Constant Preoccupation"). He is the patron saint of catechists. 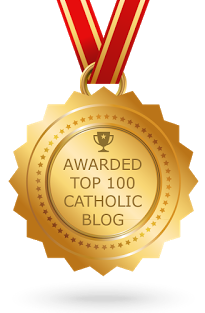 Catholic Hierarchy: St. Robert Francis Romulus Cardinal Bellarmine, S.J. St. Robert Bellarmine ... ora pro nobis. arse and saint postings are two words I thought I would never see together.